In the largest pre-employment background screening study in the Human Resource Trade Media, called the HRO Today Bakers Dozen Customer Satisfaction Survey, Universal Background Screening was named as the #1 Overall Background Screening Provider. 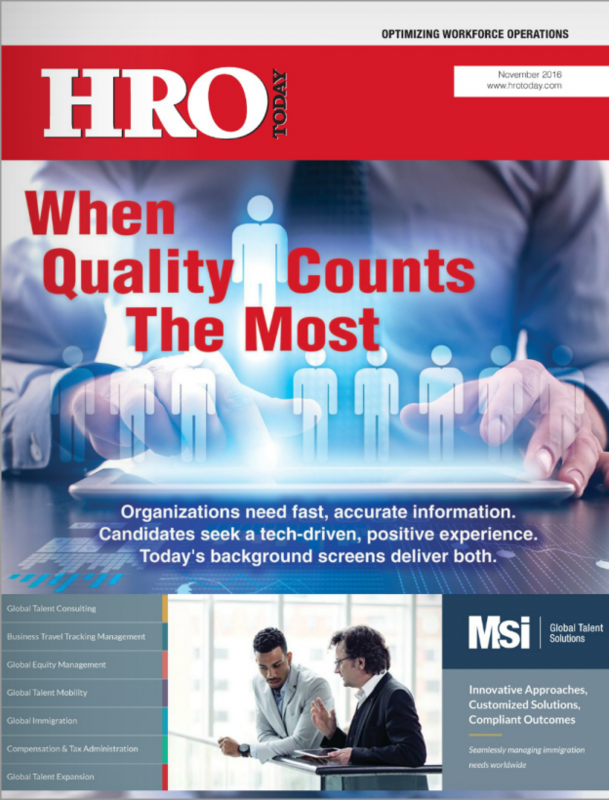 Each year, HRO Today Magazine invites thousands of Employers to participate in the independent study, which is focused on three specific areas: breadth of service, size of deal and quality of service. Those Employers, who are verified corporate users of background screening services, responded to a 30 question survey based on their experience with Screening Providers. The announcement marks the 7th consecutive year Universal Background Screening has been recognized by the HRO Today survey, and the second time that the company has been named the #1 overall Background Screening Provider.